BMW debuted the new 328d Sedan at the New York International Auto, ushering in the next wave of BMW Advanced Diesel models in the US. 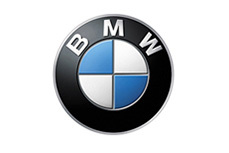 BMW today announced four new partners to provide BMW Approved Apps for BMW Apps option for Apple iPhone. BMW 6 Series for Model Year 2014. The BMW 6 Series Coupe, Convertible, and Gran Coupe models will enter the 2014 model year with a stronger line-up than ever, thanks to new enhancements and a limited edition of the Convertible model sure to make heads turn.